"Engineered for ease of use, Trimble Groundworks features an updated, intuitive user interface designed for construction environments," said Scott Crozier, general manager for Trimble's Civil Engineering and Construction Division. 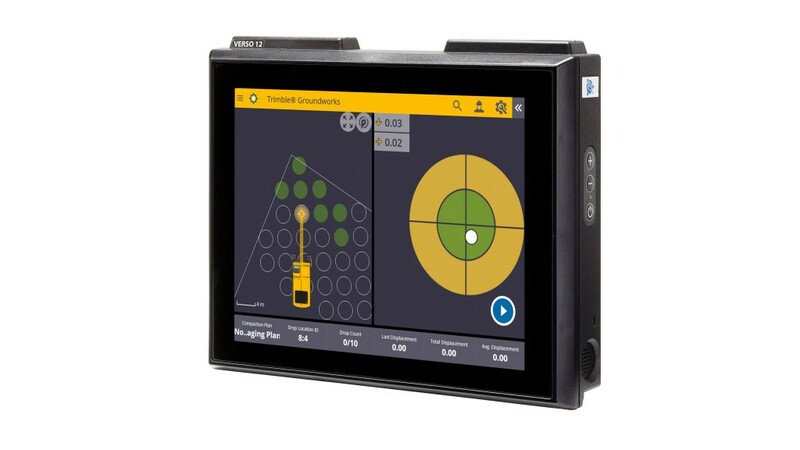 "Engineered for ease of use, Trimble Groundworks features an updated, intuitive user interface designed for construction environments," said Scott Crozier, general manager for Trimble's Civil Engineering and Construction Division. "Contractors can achieve centimetre-level accuracy with stakeless navigation, which reduces rework and decreases the need for personnel working near the machine during operation." Colorful graphics, natural interactions and gestures make Trimble Groundworks Software intuitive and easy-to-learn. Using the large, easy-to-read touchscreen display, operators can personalize the interface to match their workflow. In addition, a variety of configurable views make it easier for users to achieve maximum productivity. The software aligns with other solutions in the Trimble Civil Engineering and Construction portfolio to make company-wide training faster and easier. Minimizing the need for stakes and construction surveying, Trimble Groundworks can help promote jobsite safety by reducing the number of people working near the machine while drilling. Also, avoidance zones can be set to keep operators from entering hazardous areas. With Trimble Groundworks, machines can operate 24 hours a day, 7 days a week in almost any conditions, decreasing the chance of delays due to darkness or inclement weather. Trimble Groundworks is part of the Trimble Connected Site portfolio of solutions that provide a high-level of workflow and process integration from the design phase through to the finished project. The integration of Trimble software in the office and Trimble Groundworks in the field can increase the efficiency and productivity of drilling and piling operations, wirelessly syncing data to reduce site visits and provide a single source of truth. The accuracy of the Trimble Groundworks Machine Control System for Piling enables contractors to increase operational efficiency and reduce surveying costs associated with staking and as-built checks. Trimble Groundworks is part of the Trimble Connected Site® portfolio of solutions that provide a high-level of workflow and process integration from the design phase through to the finished project.